COMECER AMERICA (Norristown, PA, USA) and CELAVIE L.L.C. 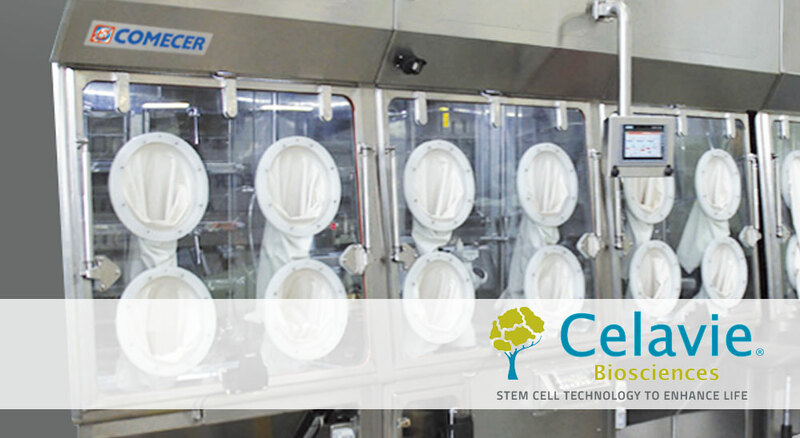 (Oxnard, CA, USA) entered into an agreement for the production of an aseptic manufacturing system based on COMECER proprietary Isolation Technology, to be deployed for the development of Cell-Based applications according to the CELAVIE manufacturing process. The system will be developed in the Italian COMECER factory and will allow CELAVIE to perform their unique two-step process integrated within COMECER GMP-grade isolation technology devices. In the first phase, the system will be used for cell banking, where sets of microvials will be aseptically prepared and stored for freezing. In a second step, frozen cells will be thawed and expanded into a hypoxic incubator, integrated into the isolator along with several other typical cell-processing laboratory devices. All the devices installed within the isolators respond to the highest standards for laboratory equipment and have been specially adapted for use in isolators. CELAVIE L.L.C. is a regenerative medicine company developing novel stem cell therapies for the treatment of Parkinson’s disease and other disorders of the central nervous system. The COMECER GROUP is a developer and manufacturer of high-tech systems in the field of Aseptic Processing and Containment for the Pharmaceutical and Nuclear Medicine Industries, specializing in isolation technology solutions for regenerative medicine and tissue engineering. COMECER’s products are used worldwide in hospitals, universities, research institutes, pharma companies and large industrial groups.